Pi Eye Games brings us the latest “Asteroids” clone, “DarkSide: Arklight 2” and in several ways, it stands above the rest. Ahh, the good ol’ days, when you could walk into a pizza parlor, pop in a few quarters and play a game such as “Asteroids” while you were waiting for your order. 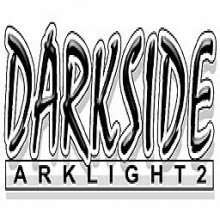 For some people, those days were the best of all, but for everyone else, there’s “DarkSide: Arklight 2”. This game features a ton of almost mindless asteroid destruction and some really cool power-ups that make up for the repetitious game play. Hop aboard and fly with me into the deepest galaxies in the universe as I break down “DarkSide: Arklight 2”. A lot of work was obviously put into the core of this game, as the visuals are stunning for a game put out by a company no one knows exists.Basically, there’s only the asteroids, your ship, several enemy ships and the various towers on the bigger asteroids. No, there’s not much to it, but what’s there looks wonderful. There are no jagged edges, the shadows look good and everything runs smooth even on somewhat older computers. Music is a key factor in any game and this one is no exception. A good set of music tracks can make or break the action in such a fast-paced environment. As such, it’s a good thing that “DarkSide: Arklight 2” has some pretty good music to keep the action flowing properly. It’s all electronic and it’s all pretty standard as far as electronic music goes, but even still none of it sounds bad. On the other side, however, the sound effects don’t really have that same quality. They seem to be ripped straight out of any other redo of the “Asteroids” concept. If you’ve not played any of those remakes, it wont make a difference at all, but anyone who’s play any other games of this style will feel as though they’ve heard all of the effects before. Still, the sound effects are good for what they are and help to round out the package nicely. There’s not much to “DarkSide: Arklight 2”, but don’t let this statement put you off because it’s still a blast to play. Simply put, you pick one of 3 modes and literally shoot asteroids and the occasional opposing ship until the game is over. You’re able to pick up limited power-ups, such as the 3-way shot or the all-powerful laser gun, but each weapon is extremely limited in terms of ammo/time. The power-up with the longest length is the simple 2-way shot and the opposite would be the laser gun, which lasts a mere handful of seconds. The good thing about these power-ups, though, is that the power-ups are extremely common and each level is rather short. You also have access to bombs, which essentially do heavy damage to everything on the screen when the bomb is used. Bombs are each a one-time use, but are easily found again, even if not as much as the other power-ups. Throughout the stages, you may encounter mining colonies, which I generally refer to as “towers” that you must defend. Aside from these simple goals and mechanics, there’s nothing else to it other than the 3 modes. The main mode is “Mission” mode, which forces you to defend the towers. If any are destroyed, you must restart the mission. “Arcade” mode is pretty much the standard arcade-style game play, which tasks you with simply playing until you run out of lives. “Survival” mode is the same as “Arcade” mode, but you’re only given a single life. Once you die in “Survival” mode, it’s game over. There are also 3 difficulty settings that make the game either incredibly easy or impossibly difficult. The curve is quite good in that any style of player will find some sort of challenge or enjoyment here. As far as “Astroids” clones go, this is one of the best, if not the best that I’ve personally played. Overall, “DarkSide: Arklight 2” is a wonderful game that passes time almost too quickly. It’s fun, easy to get into and runs on most computers very well. I must admit that as of this writing, I’ve not had the chance to check out the first “Arklight” game, but if it’s anything like the sequel, it’s definitely a wonderful game. -Steady framerate even on older computers. -Power-ups, while limited are really cool. -Immense amount of replay value. -Nicely done music tracks fit the game perfectly. -Very fast-paced and quite intense. -Great difficulty curve for any style of player. -Resolution selection is limited to 640×480 or 1024×768. If you’re a fan of “Asteroids” or if you simply like mindless, yet addictive games in which you blow things up for hours on end, this game is worth a shot. It’s only $20 and will provide anyone who can get into it with more replay value than any other game of the “Asteroids” style.